Finding Dory is a 3D animated film from Pixar Animation Studios and released through Walt Disney Pictures. It’s the sequel the beloved 2003 film, Finding Nemo. Many characters have returned from the first movie, and we meet a lot of new characters, but this sequel can be viewed as a standalone. There are a lot of flashbacks to the previous movie to fill in any potential gaps. Of course, it’s always fun to try and guess the celebrity voices of the cast. Throughout the movie, we hear Sigourney Weaver’s voice as a narrator for exhibits at the Marine Life institute. It creates some fun moments. The film is rated PG and perfect for all ages. The film begins with Dory as a very young Blue Tang fish at home with her parents Jenny and Charlie. As a little one, she knew she had short-term memory problems: her parents were trying to teach her to remember to follow shells as a path toward home, and to avoid the undertow. We then flash forward to one year after Nemo was found. 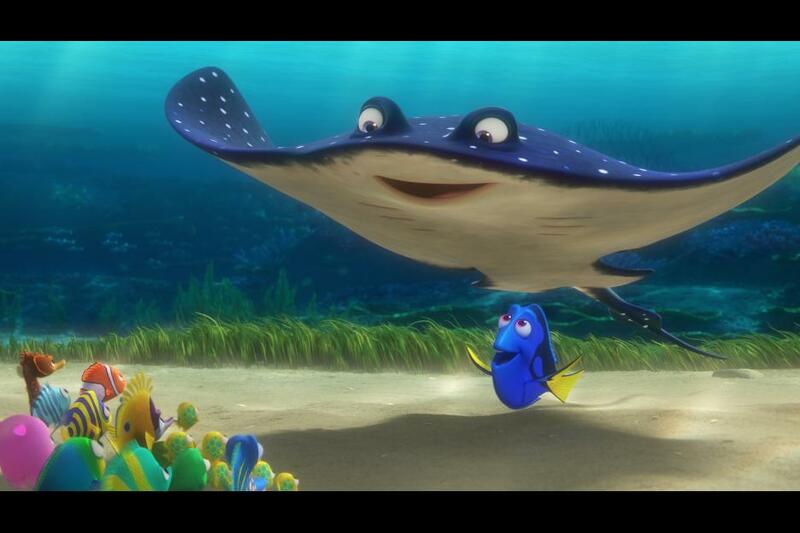 As Dory assists Mr. Ray in Fish School, she learns about migration and returning home. She starts to have flashbacks of her family; she yearns to go home to the jewel of Morro Bay, California. This sets off the adventure of finding Dory’s family in California. With the help from Crush, they start swimming. Dory, being Dory, goes a little off course and is separated from Nemo and Marlin. She’s rescued and tagged by the Marine Life Institute which is where she previously lived with her family. While Dory is trying to find her family, she befriends an octopus, Hank, who is a bit of a curmudgeon. He agrees to help her in exchange for her tag. Aquatic animals with tags are sent to aquariums instead of being released back to the ocean, and Hank wants to live out his years in an aquarium. 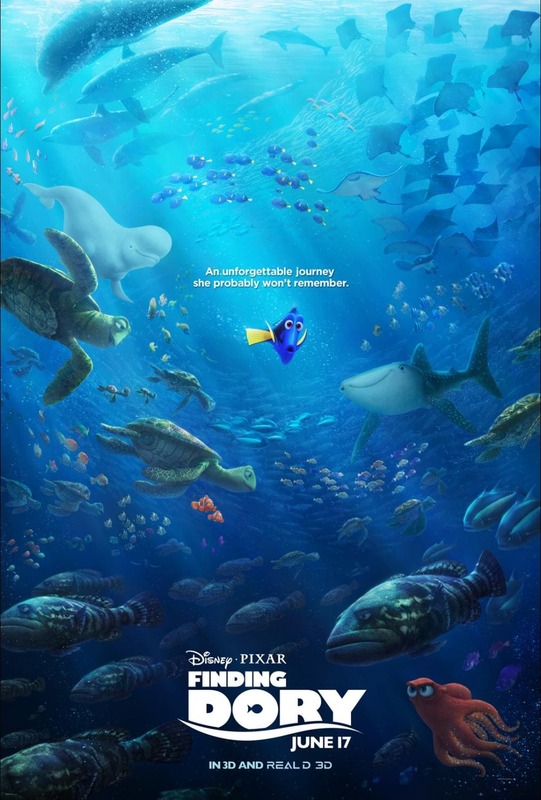 During their search for Dory’s family, they encounter Destiny, her childhood whale shark friend—Dory really can speak whale—and Bailey the beluga with special echolocation powers. 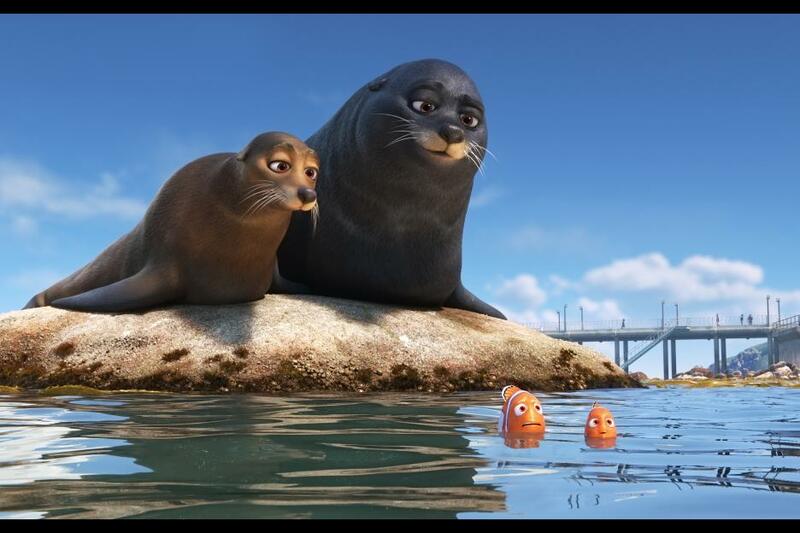 At the same time, Nemo and Marlin are trying to reunite with her; they’re family after all. With the help of some sea lions, they enter the park via a bucket carried by Becky, a crazed loon. After a lot of antics of trying to find each other, so much action with laughs and cuteness—don’t want to give everything away–not only does Dory find her parents, Nemo and Marlin are part of the reunion. In the end, they create one integrated family and reside in the Great Barrier Reef. 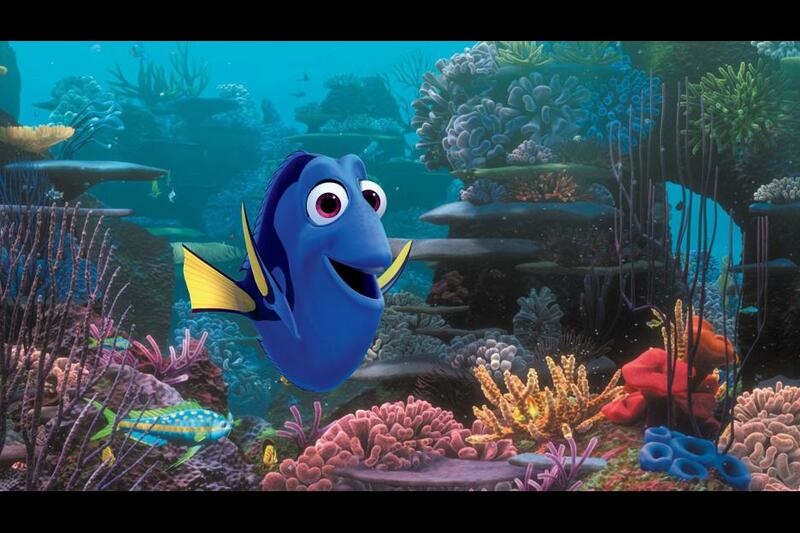 While Dory does remember a lot of her past, she never fully recovers from her short-term memory loss. But, that’s part of what makes her character unique and whimsical. We’re reminded of her positive outlook on life by one of her favorite phrases: just keep swimming. She shines as the lead character in the film. The movie is great for all ages: inspiring hope, the love of home, the importance of family and friends, and that family is made of the people most important in one’s life. The movie is full of laughs, fun to watch, perhaps a few tears shed, and the 3D-effects enhance the experience. It’s sure to become another modern animated classic. Finding Dory is swimming into a theatre near you on June 17th, 2016. You never know with sequels. So glad you liked it!!!!!! 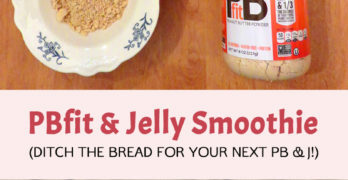 Just saw this myself and thought it was great!